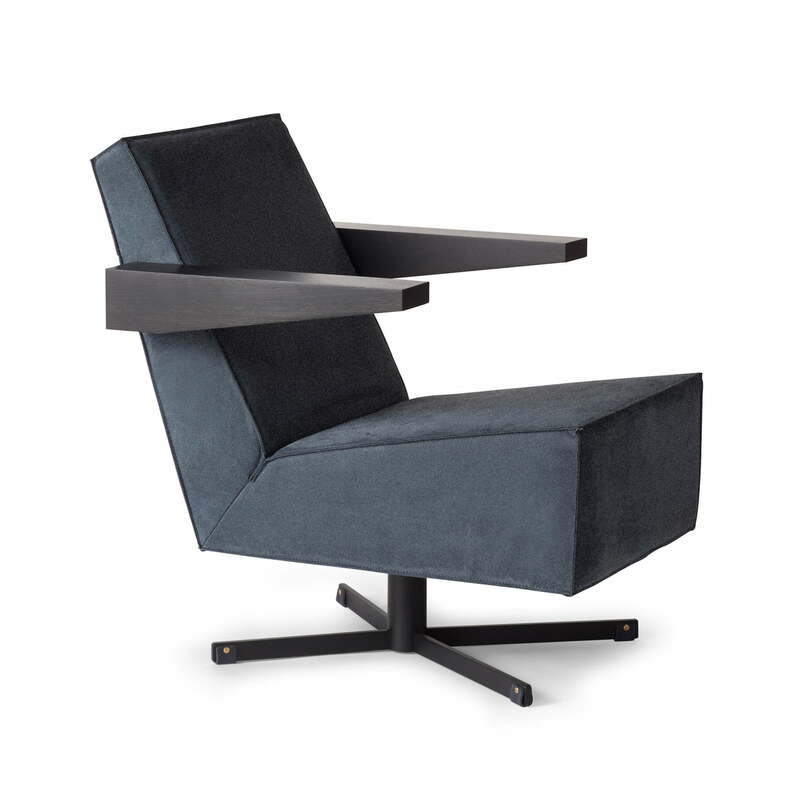 Gerrit Rietvelt designed the Press Room Chair in 1958 for the Press Room of the UNESCO building in Paris. Back then, the chair was meant as a comfortable lounge chair for journalists, but was never produced due to budgetary restrictions. Instead, an already existing chair model was used. Fortunately, the original drawings and designs of the Press Room Chair were stored. 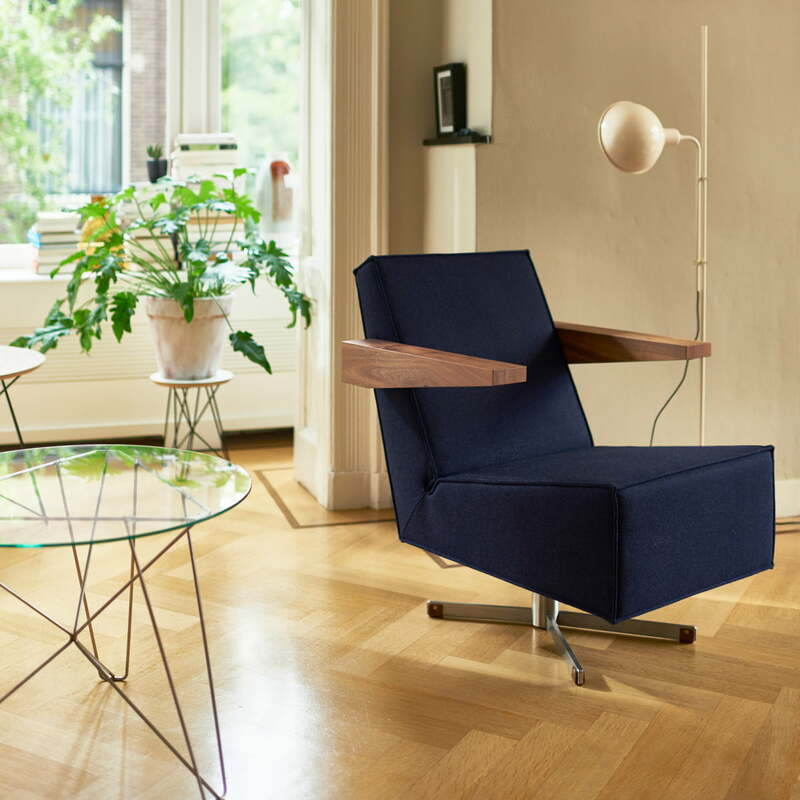 The lounge chair was designed exactly according to the original drawings, other than the fact that the swivel foot was increased by 6 cm to fit today's ergonomic needs. 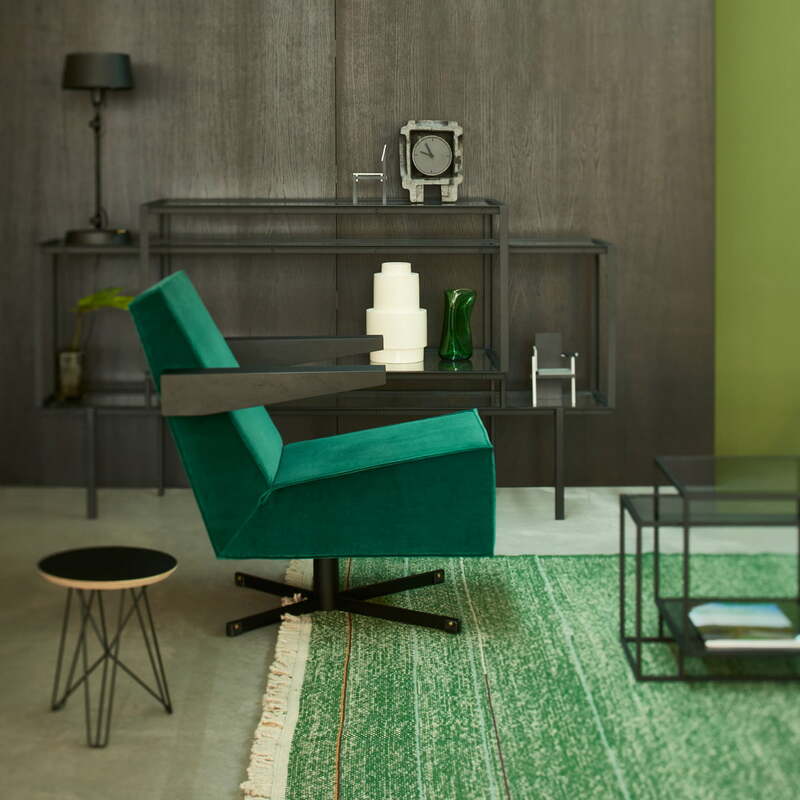 The straight-lined Press Room Chair by Gerrit Rietvelt for Spectrum has the shape of a contemporary witness of the 50s. The exact design of the chair makes it a special highlight in your home, which can be combined with almost any piece of furniture. The Chair is available in different versions that differ in their upholstery, material of the armrests, and cross foot. The Press Room Chair by Spectrum, here with gray (Kvadrat - Divina 3 / 154) upholstery. The armrests out of wood, the frame out of the steel and the foot straps out of leather are black. 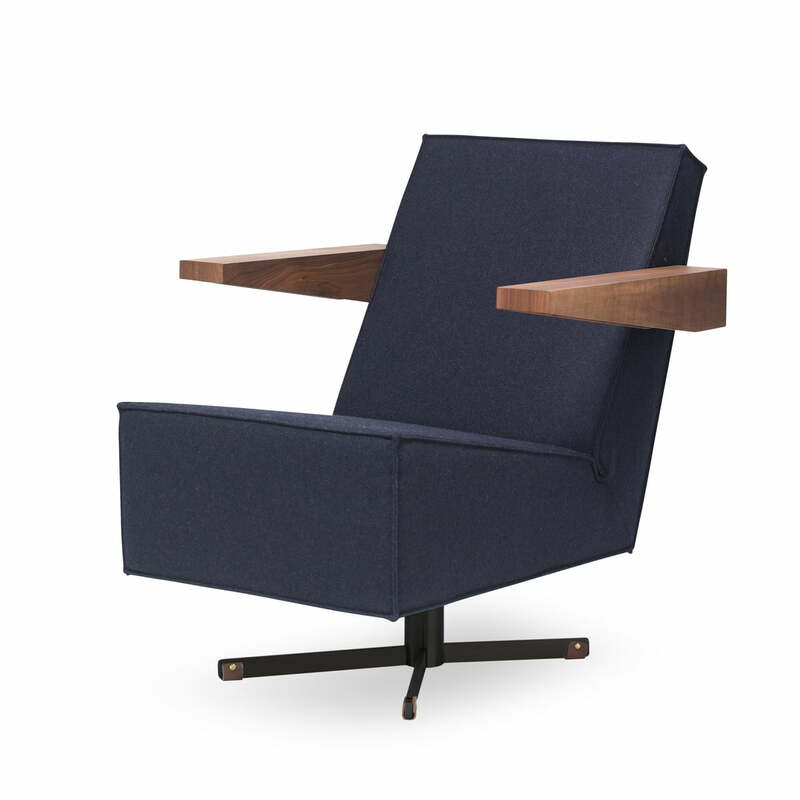 The Press Room Chair by Spectrum, here with dark blue (Kvadrat - Divina 3 / 791) upholstery fabric. The armrests are made from solid walnut. The frame is black with contrasting brown leather foot strap. The Press Room Chair here in an ambient setting in green. The exact design of the chair makes it a special highlight in the room, which can be combined with almost any furniture. The Press Room Chair here in an ambient setting in dark blue. The exact design of the chair makes it a special highlight in the room, which can be combined with almost any furniture.